Many homebuyers choose spring to buy a new home and move in to be ready for the summer months. Why not get a jump on spring home buying and choose your home now for a spring move-in date? According to this recent article in TheStreet.com, February is a good time to buy a new home. Knowing the right time to buy house is just as important in the home buying process as knowing what house you’re going to buy, where you’re going to buy it, and how you’re going to buy that home. Why is the “when factor” so important? In the past few years, the Federal Reserve has sustained a policy of raising interest rates to keep inflation low, and the economy stable. In early 2019, 30-year fixed mortgage interest rates rose to between 4.5% and 5.0%, depending on the lending institution. If you watch the interest rates daily and lock in your rate while they are low, it can make a huge difference in your monthly payment. 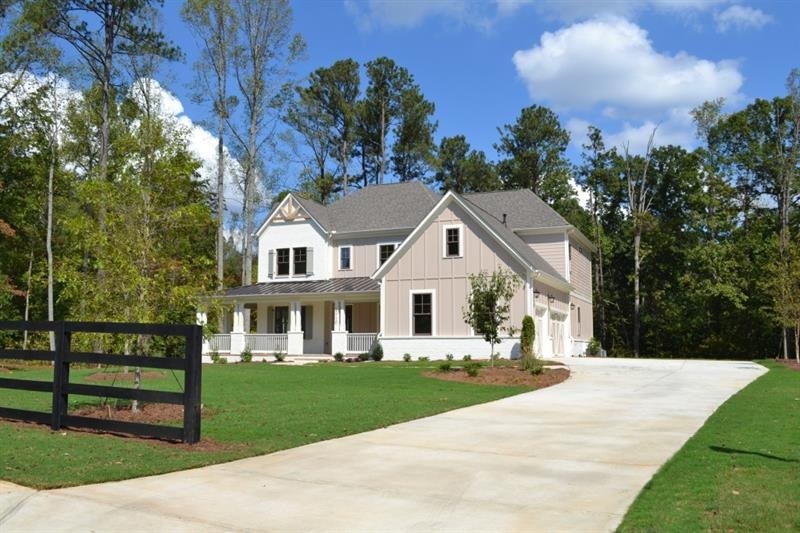 Lot Homesite 29 | $837,455 |5 BR, 4 full BA -Luxury Farmhouse living by Patrick Malloy! The Darlington-G with a stunning wrap around front porch sits on an acre plus lot with tons of hardwoods for privacy. This 3 car side entry basement home has 5BD/4BA and boasts a large family rm open to keeping rm w/fireplace & designer chef’s kitchen w/granite cntrtp, w/in pantry & mudroom. Sep dining, sep study & guest suite on main. 2nd level owners suite, lrg loft, 3 generous size bdrms, 1 w/ priv bath & 2 share J&J bath. Darlington-Milton Run. Photos show model Darlington at sister community. Ready Now! Looking for a top rated city for your new home? Milton, Georgia was just named the 10th “Best City to Live In” by the Wall Street 24/7. According to this article: “When it comes to choosing a place to call home, everyone has their own priorities and subjective tastes. Still, there are specific attributes some communities share that are almost universally desirable: safe streets, a strong economy, affordability, and a range of entertainment options, to name a few. A planned community incorporated in 2006, Milton is one of the most rapidly growing cities in Georgia. Now home to nearly 37,000 people, Milton’s population more than doubled since 2009 and is projected to reach 43,000 by 2030. In commuting distance of Atlanta, many Milton residents likely commute to high paying jobs in the state’s largest city. The typical household in Milton earns $109,784 a year, more than double the median income of $51,037 across the state as a whole. Similarly, Milton’s poverty rate of 5.5% is less than a third of the 17.8% statewide poverty rate. Come out on Thursday, December 13th, 2018 from 7:00 pm – 8:30 pm to the Milton High School Auditorium for a free holiday music concert by the orchestra. There will be festive music, concessions, and a raffle. Please join us on Thursday at the Milton High School Auditorium 13025 Birmingham Hwy Milton, Georgia 30004. Concessions open at 6:30 pm. Admission is FREE. If you haven’t picked out a tree yet head out to Scottsdale Farms, just five minutes from your new home at Milton Run to take advantage of one of their decorating events or to pick out your tree and wreath. It’s a great day when homebuyers can enjoy $20,000 buyer incentive that can be used ANY WAY YOU WANT plus $5,000 in closing costs with approved lender! That’s right, you can use the money any way you want, upgrades, designer choices and more . [ see agent for full details] Realtors, bring your clients to Milton Run and enjoy 50% of your commission UP FRONT upon contract approval. This is a limited time offer that ends on contracts written by 12/31/18. Homesite 29 – 15710 Burdette Court |5 BR/4 BA | $867,455 |READY NOW! 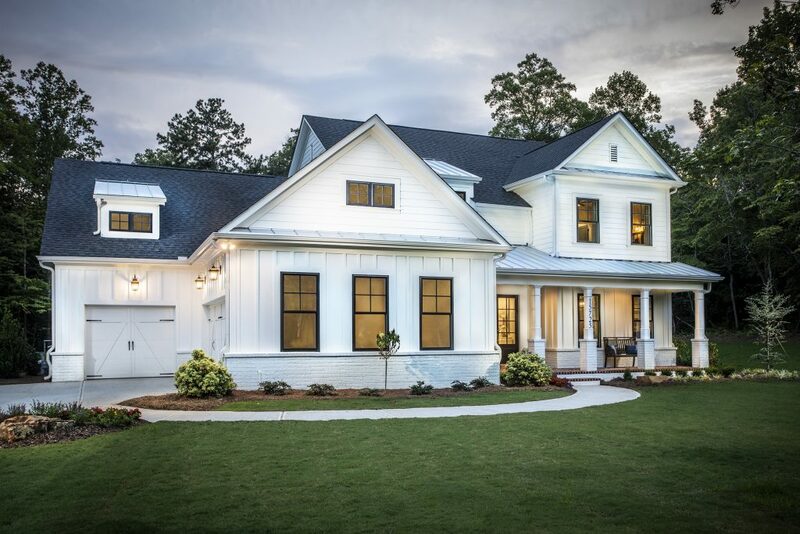 This Darlington plan is a 2-story home with an owner’s retreat upstairs and a private guest suite on the main floor. This home includes an open chef kitchen with family room, formal dining and study and sits on a full basement. A rear deck, covered front porch and 3-car garage round out this beautiful home with many builder upgrades on the inside. Truly a must see. 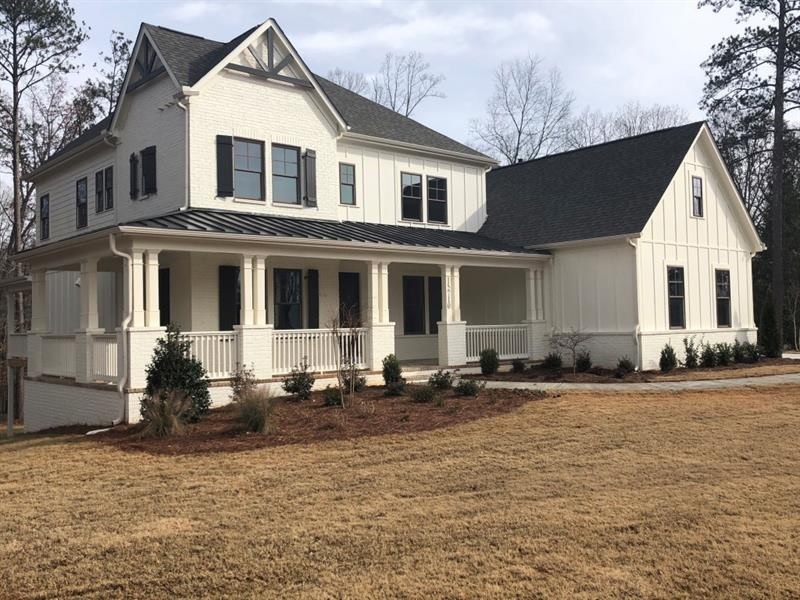 In a great location, Milton Run is near several golf courses including Atlanta National Golf Club, Trophy Club of Atlanta, Crooked Creek Golf Club, St Marlo Country Club and many others. It is also near North Point Mall, The Collection at Forsyth and Avalon for great shopping, eateries and events. Want to get in some ice-skating? Have fun at Avalon on Ice where tis’ the season to lace up your skates and glide into the holiday spirit. Our monumental Rockefeller-inspired ice skating rink is back starting November 18th, 2018 through January 21st, 2019. Be sure to check out the new Margaritaville at Lanier Islands starting November 16th with a License to Chill Snow Island. Come a little early and stop by Milton Run, a new home community built by Patrick Malloy Luxury Collection. They are currently breaking ground on three gorgeous showcase homes in the coming weeks. Stop by and tour the model home and imagine your holidays spent in a new home in this great area! Do you love the country with all the access convenience to the city life? Come out and take the tour of Milton Run. Joe Lockwood, the Mayor of Milton recently attended the ribbon-cutting ceremony. He found that Milton Run was exactly the right kind of community. He said “we like the feel of Milton Run. You’re keep it real. You’re keeping it rural”. The city of Milton knows what keeping it real means in a community! It was given an overall ratings of A+, with top marks in categories such as public schools, outdoor activities, good for families and health and fitness. One thing that makes an area great is the local businesses. The Alpharetta/Milton area has many wonderful businesses and Scottsdale Farm is one of the best! Come out to the area and visit Scottsdale Farm where you can imagine your outdoor living with wonderful inspiration. You will find the perfect enhancement for your exterior living space, be it a casual southern screened-in porch, a formal English garden or somewhere in-between. At Scottsdale Farms Garden Center you will discover all you need to enhance your home’s exterior and interior. The 65 acre location in North Fulton includes a plant nursery; a 12,000-s.f. timber frame barn with an ever-changing selection of furniture, home decor and gifts from local and international artisans, seasonal clothing and jewelry boutique, and The Café, serving a wonderful assortment of breakfast and lunch dishes, desserts, coffee, and specialty drinks. The professional staff is eager to help, with combined expertise exceeding 200 years in the home and garden industry. Milton Run’s , model home is” The Yorktowne”, an impressive 5 BR 4 BA, 3-sided brick, 2 story home. This exceptional master on main plan has additional guest bedroom on main! 3 secondary bedrooms up with loft. Gourmet kitchen with island opens to family and breakfast room with access to extended deck for the ultimate entertainment area. Enjoy a fireside family room, formal dining and study on main. In the market for a new home? Make plans to come out to Patrick Malloy Luxury Collections’ newest community of Milton Run! The grand opening features ” The Yorktowne”, an impressive 5 BR 4 BA, 3 sided brk, 2 story home . This exceptional master on main plan has additional guest bedroom on main! 3 secondary bedrooms up with loft. Gourmet kitchen with island opens to family and breakfast room with access to extended deck for the ultimate entertainment area. Enjoy a fireside family room, formal dining and study on main. 1+ acre lot! A must see! 3-car garage, covered wrap-around front porch, rear deck, open chef’s kitchen, family room, formal dining and study all sit on a full daylight basement with a sprawling 1+ acre lot! A must see! Milton, GA was created from a large unincorporated area of North Fulton County known previously to most people as Alpharetta. In 2006 this area became Milton yet many people and even some GPS and on-line map programs refer to the area as Alpharetta. It is located in the far NW corner of Fulton County about 20 miles north of Atlanta. The area real estate is highly desirable because of the incredible quality of life the area offers. 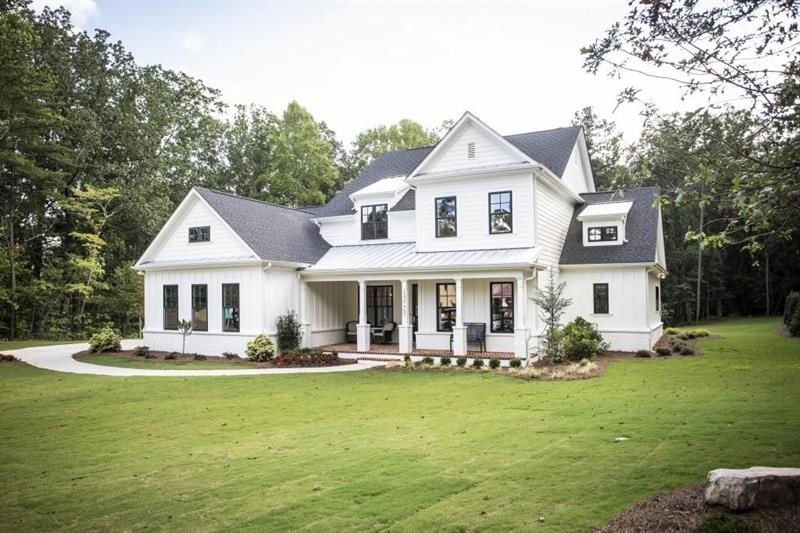 Beautiful topography, wide open spaces, the best combination of public and private schools and outstanding convenience to shopping, restaurants and all the major job centers within metro Atlanta.